John Loughlin was on a mission, and that was to recruit Cree Forest. She had been on his radar for some time, and he wanted to bring her in to work for him at the DCO - Department of Covert Operations. She had the exact attributes he was looking for, multi-lingual, well-travelled, experienced in diplomacy. And she was a shifter. He knew it was important that he not scare Cree with his knowledge of her. He didn't want her disappearing, which she was more than capable of doing. What he didn't expect was her surprise for him when they finally met, face to face. 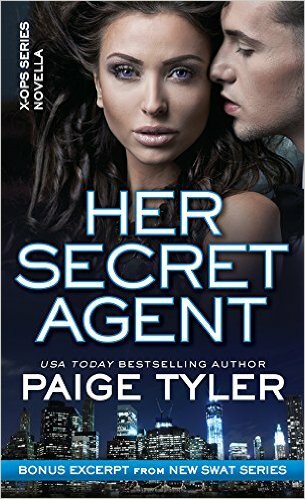 In Her Secret Agent, Paige Tyler introduces readers to her X-OPS series and the suspense behind the scenes at the DCO. John isn't content with the direction of the DCO and knows that Cree is an ideal addition to his team. What he doesn't anticipate is that Cree might also be ideal for him. This was an action packed short story, and readers are certain to be eager to see additional stories for characters at the DCO.